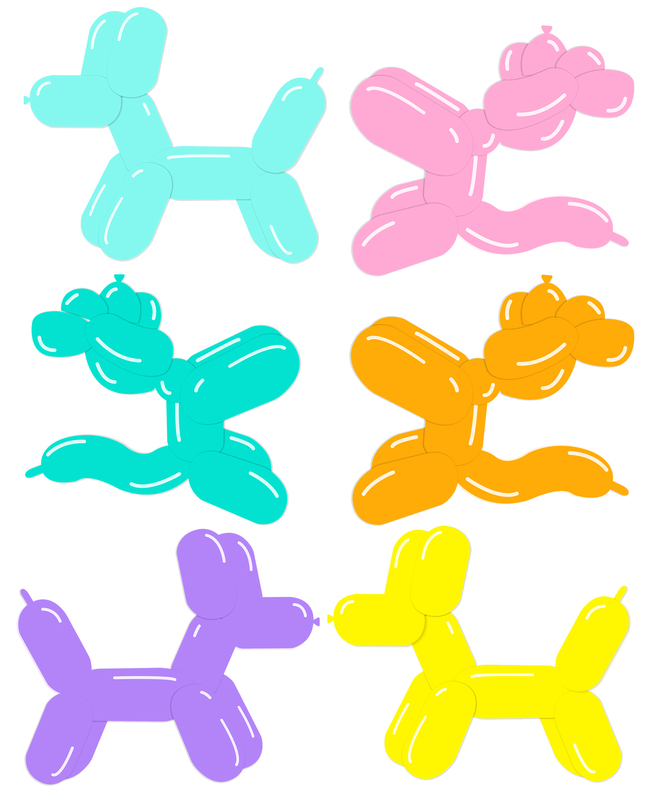 Use this free set of balloon animal clipart to make easy DIY balloon animal collar tags for your cats and dogs! 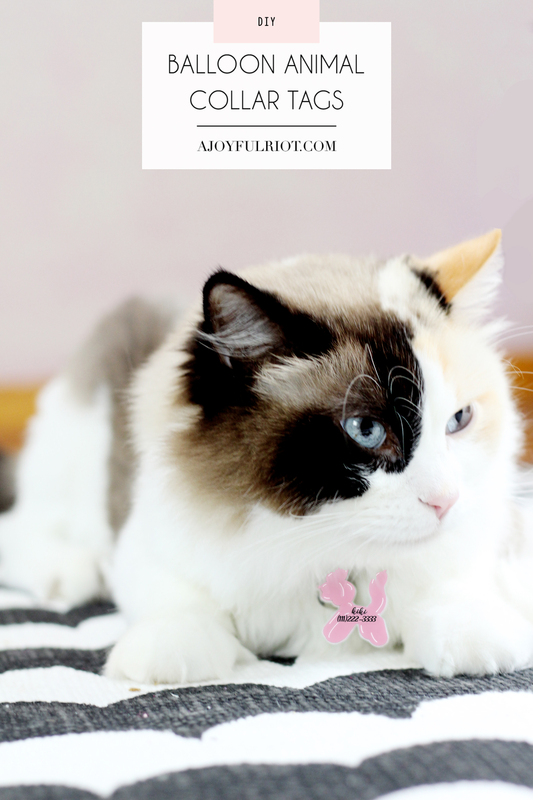 Customizable and lots of colors, perfect for all fur babies. We don’t have a whole lot of animal-related DIYs here but did you know I actually have a whole crew of pets?! Its true! I have 5 chickens, 2 goats, 2 cats, and a whole lot of fish. Its kind of a mini farm (I even grow some veggies + herbs!). So it’s about time I feature more of my furry, feathered, and finned friends! This other girl is Kiki. Or princess. Depends on who you ask (I say Kiki. Its basically a nickname but it’s just so easy to say and it rhymes with Loki! But my husband actually named her Princess Xena Warrior Kitty in the beginning so he and Stella call her Princess). 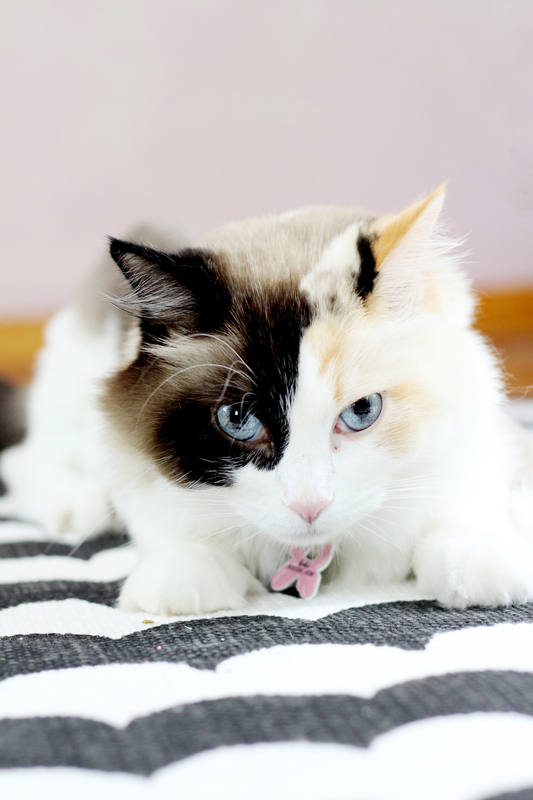 She is the fluffiest, softest animal you’ll ever touch! And she is just so sweet. She doesn’t really love to be around people, especially not kids, so she basically hides all day until I put the kids down haha. But she wouldn’t hurt a soul, I doubt she even knows she has claws. She was a rescue kitty and we think she had a broken leg or two at one point, she walks with the best bow-legged, side-ways gait you’ve ever seen. Upload the printable into a photo editing program and add your animals name, details, and your phone number. Or, use a marker after printing them out. (If you do this i’d recommend a fine tip permanent one after shrinking the plastic so you know it’ll be legible). Print onto shrink paper. Be sure to follow instructions, especially about lightening the image before printing so it’s not too dark. 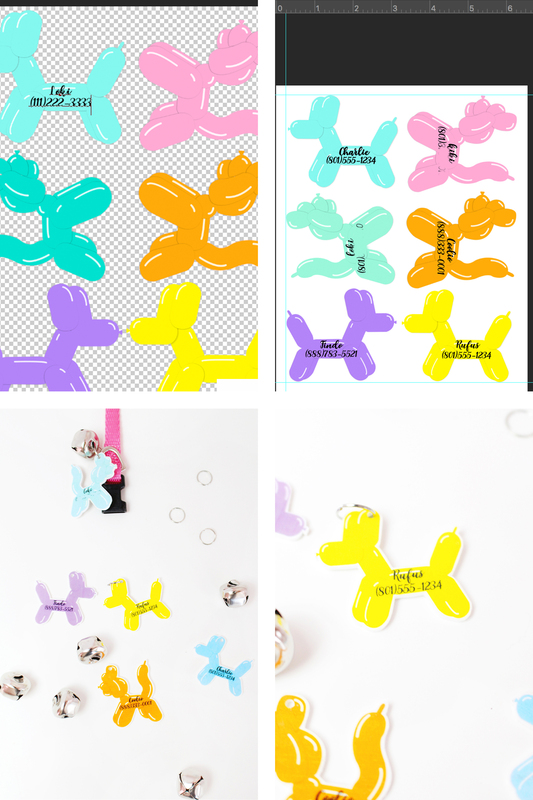 If you don’t use the file with all the animals, and instead just one or two, print them at about 3″ x 2.5″. Cut around each animal, leaving some white. Use a hole punch to make a hole on the ears area. Bake/shrink according to package directions. Spray with a clear glaze to make them waterproof/durable. 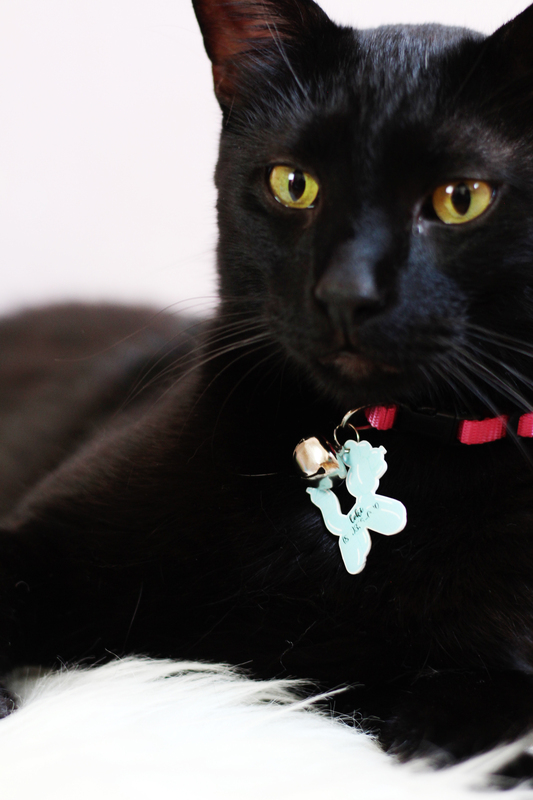 Attach to collar with jump rings and add optional accessories like a little bell! I think these would make excellent gifts for all the animal lovers in your life! Do you have any pets? Tell me what you have in the comments! Or if you don’t have any, what is your favorite animal or dream pet?